Earlier this year the European Commission launched four projects in order to operate a pilot for a European Cybersecurity Competence Network and to develop a common European Cybersecurity Research & Innovation Roadmap. This shall contribute to strengthening the EU’s cybersecurity capacity and tackling future cybersecurity challenges. CONCORDIA, CyberSec4Europe, ECHO and SPARTA are the four pilot projects which were chosen by the European Commission. They will not only develop a sustainable European cybersecurity competence network, but will also implement a variety of tasks, e.g. cybersecurity demonstration cases (in eHealth, finance, telecommunications, smart cities, transportation, etc. ), provide trainings and programmes to tackle the cybersecurity-skills gap in EU, etc. 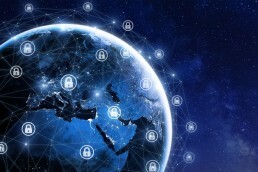 European DIGITAL SME Alliance, on behalf of cyberwatching.eu, organises a FREE webinar, on April 2nd 2019, where all the four pilot projects will present their planned outcomes and services to be provided. They will also explain how these will benefit European cybersecurity SMEs, as well as other stakeholders which are looking for the support and cooperation in the field of cybersecurity. The webinar is primarily targeting SMEs – both cybersecurity users and providers, which will get an overview of tools and services that the four pilot projects have to offer. However, this webinar is also open to all interested in the cybersecurity landscape in Europe and its planned development in the years to come.